The chairman of the Republican National Committee says NBC and CNN are in the bag for Hillary Clinton, and he’s pledging to block the networks from sponsoring 2016 GOP primary debates unless they scratch their respective TV projects about the former secretary of state. Reince Priebus accused the networks of promoting Clinton “ahead of her likely Democratic nomination for president in 2016” by airing the productions. NBC is planning a miniseries about Clinton staring Diane Lane, and CNN has a documentary in the works about Clinton’s professional and personal life, expected to air in theaters before running on the cable network. In a letter to program executives, Priebus asserts that the networks’ plans will tip the scale toward Clinton in the next presidential election, providing unfair treatment not only to Republicans but also to other Democrats vying for the nomination. He called the networks “campaign operatives” for Clinton, and noted that Democrats protested when Citizens United tried to air a pay-per-view film about her before the 2008 election. “The fact of the matter is you’ve got two networks that are potentially spending millions of dollars promoting a person that they know is at least doing the dance and getting ready for a run for president,” Priebus told Fox News’ Sean Hannity on Monday night, noting that Democrats blocked Fox from hosting Democratic debates in 2008. The chairman said NBC and CNN have until Aug. 14 to pull the programming or else he will seek a “binding vote” at the RNC’s meeting that week to prohibit them from partnering with the committee for primary debates or sponsoring any GOP debates of their own. 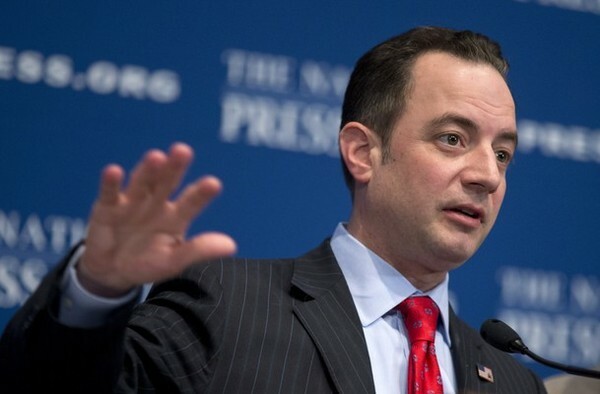 State party chairs in Iowa and South Carolina said they supported Priebus’ move.